Understanding the way you are perceived by another entity and how that is wholly different from the way you perceive yourself is a difficult concept. 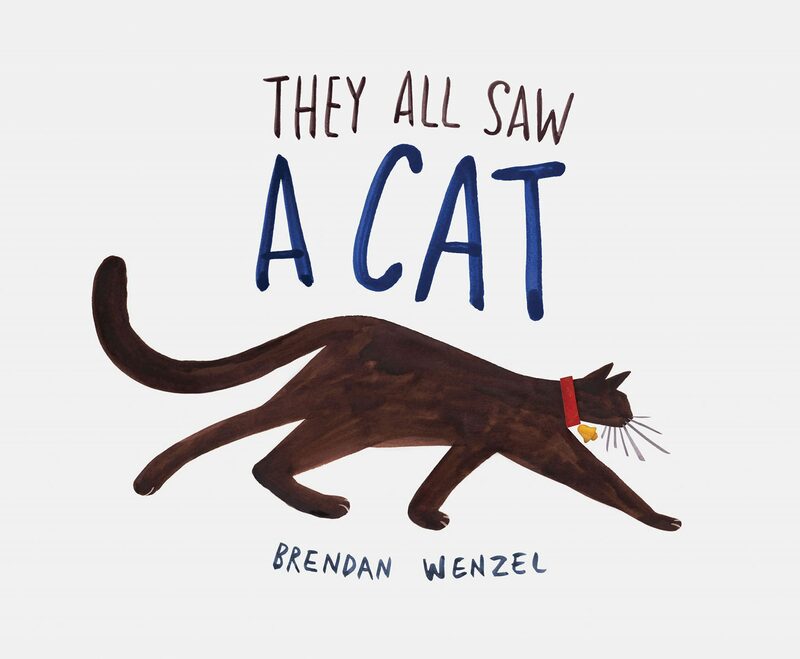 They All Saw A Cat is a story about a cat walking through the world while a menagerie of animals see her, and sometimes interact with her. Each animal’s perception and perspective is different. This is a lesson in subjectiveness. Friend or foe; predator or prey; macro or micro; heat vision or grays, vibrations in the earth or sound bouncing back. How perspective and perception is explored in this book is masterful. If I wrote out this list without a picture of a cat, you’d know I was describing a cat. These are all components that make up a cat, but the cat is more than that. Like everything and everyone, the cat is all that is perceived of it and how it perceives itself. This is Gestalt Theory: the sum is greater than the parts. Look at the way the cat is addressed: “A CAT”, or “the cat”. “A CAT”, is any cat. This way of addressing the main character lacks individuality, it could be anyone or everyone. “The cat”, is specifically a particular cat. This cat. The animals that interact with the cat see themselves as “the ____.” But the cat is only “A CAT” to them, one of many. The audience only sees that this cat is (in the refrain) “the cat,” unique and individual. At the end of the book the other animals are only then addressed as “A ____.” Now they lack individuality, yet we clearly see them as singular unique entities. This hammers home the message. The way we address another entity’s individuality, or lack thereof affects the understanding we have of them. One last note: we the audience, never see the cat’s face during those moments in the refrain. We only see the cat’s face though other’s eyes including its own. This shows a strong understanding and thoughtfulness about the themes of this book by Mr. Wenzel. How we see ourselves and how others see us are entirely different. All perceptions are what make up who we are. Deepen your view of the world by trying to see through another’s eyes. We are more than just components. You can either see an entity as having or lacking individuality, which will change the way you perceive and thus treat them.